MADISON, Wis. (AP) College Football Playoff rankings or not, the Wisconsin Badgers play with week-to-week blinders. Wisconsin (8-0, 5-0 Big Ten) is in pretty good shape in the latest AP poll , up one spot to No. 4 after beating Illinois 24-10 last week. So the final four games of the season – five assuming that the Badgers go to the Big Ten title game – provide an opportunity to shape perceptions as the postseason comes into sharper focus. 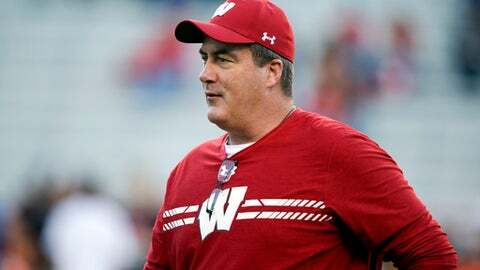 It’s not Chryst’s style, though, to look too far ahead. He has his players well-schooled in following a ”next-game-only” mentality. ”We’ve got to be a little sharper, we’ve got to make sure the holes are there, so we can make it a go no matter who’s running the ball,” left tackle Michael Deiter said.